Place currently has: - Fridge - Couches - Washing Machine - Dryer - Microwave Other two rooms are currently unoccupied. Ensuite will be taken, but potential occupant will have 3 other rooms to choose from and own bathroom as well. 1 sunny bedroom available, with a wardrobe, a small table and a chair, you have your own bathroom with toilet, sink and etc. Bed or other furniture can be provided on request. No car park provided. No air conditioner in your room but only one is in the living room, that you are welcome to use. We are happy to provide you with a fan if you need. The environment is very quiet. (Our friend lives temporarily in the living room now and puts some of his stuff in the living room and balcony so the photos look a little bit more crowded. But he will move out soon and take away his stuff and empty the bathroom). Large room with spacious ensuite and a walk in wardrobe. The pictured bed is queen size and there is still plenty of space. 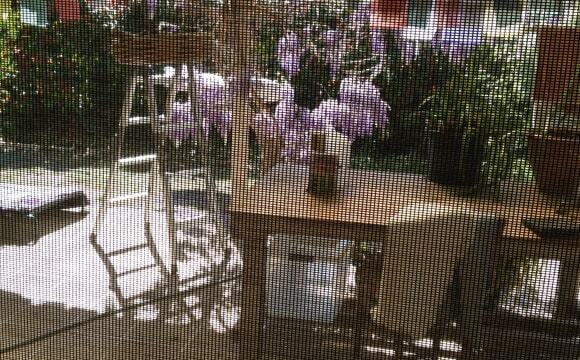 The room also leads onto a balcony. The room will be unfurnished. The flat is ground floor which means we get a lovely little front courtyard which connects into the living area. The flat is fully furnished however we have room for extras, if you have any you'd like to bring. There is also a storage room in the flat and a storage cage in the garage. 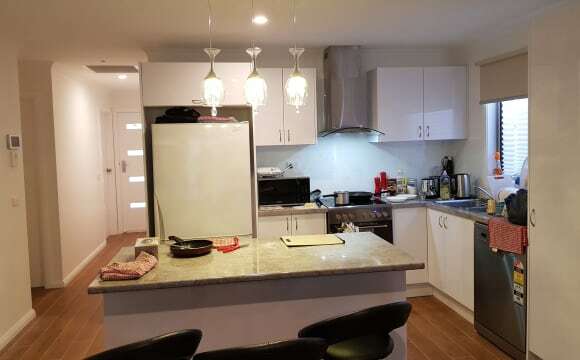 The flat is walking distance to South Point shops which has the limelight cinemas, string of other shops such as Kmart, Cotton on, Espresso Room, Woolworths etc. Also within walking distance is the Clublime gym, the lake and the main bus stop for Tuggeranong. The apartment comes with one underground car space which is occupied. There is street parking, however, it is a 2hr limit during business hours but unrestricted after 6pm and on weekends/public holidays. I'm looking for a neat, tidy female roommate to share my two bedroom apartment in Greenway. It's only a 10 min walk to the South.Point Shopping Centre. The room for rent has its own bathroom. The apartment has amazing onsite facilities such as pools, a gym and a sauna. Please message me for price and more information/pictures if you’re interested. Thanks! Quiet and peaceful area. The 4 bedroom house is spacious and fully furnished. 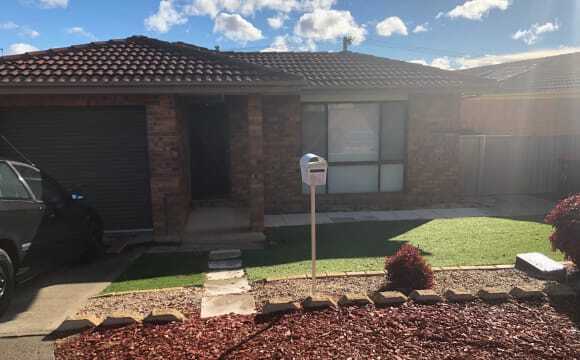 i have a spare room for rent, onsite parking if required, The property is nice and in a quiet area south side of canberra close to Woden and Tuggeranong. 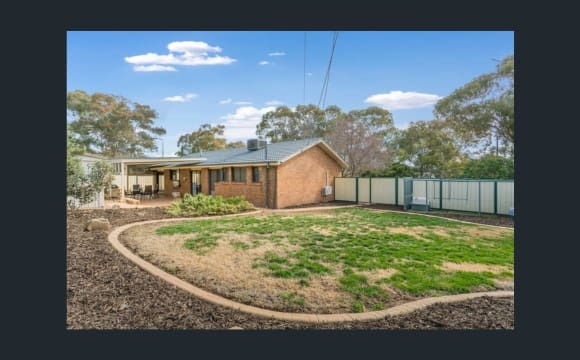 close to public transport aprox 15-20 min bus ride to Canberra CBD, it has a nice yard with plants to help relax and a nice view of the hills. wall split AC / Heater in lounge area, fully centrol heating, internet, furnished room with items and built in robes. polished floor boards, wash machine laundry facilities, power, water, gas and unlimited internet all included. we share the cleaning in common areas and other basic cleaning and house work. Quite area, large backyard with barbecue area. Close to Tuggeranong and Erindale. Good heating and cooling. Netflix and large tv. One fully furnished single bedroom with shared bathroom is available for rent in a (4 bedroom + 3 bathrooms) home to share with professionals working in public service offices. Central reverse cycle cooling and ducted heating. Single bed, desk, and chair provided. Utility bills (Internet, Gas, Electricity &amp; Water Usage) to be split among four residents. Ample parking off-street. One Month rent in advance and 3 weeks rent ($450) as the Bond deposit. Minimum 3 months stay preferred. (Please No Pets, No smoking). Beautiful house , very clean , nice view, with airconditioning, very close to amenities, bus stop, shopping center, car accommodation, lots of storage. Four bedroom family home. Own double size bedroom and bathroom (shared with any house visitors). Full use of all living areas inside and out. Garden outlook and views from all windows. Walking distance to buses, Erindale shops, gym, pool and library and close to Tuggeranong and Woden. We currently have available, two bedrooms in our large spacious house. The larger room faces the front of our house, with views to nearby playing fields and the hills of Monash. It features a spacious floor-to-ceiling built in robe, additional smaller built-in robe, shoe storage unit and bedside tables. Option to use your own bed/furnishings if desired. Other bedroom is slightly smaller and looks out upon covered courtyard at rear of house. It also contains double bed, floor-to-ceiling built in robes, bedside tables, shoe storage unit. Option to use your own bed. A large, well-appointed bathroom and separate toilet is shared by three females only. Our house is modern, contemporary and cosy and was extensively renovated and enlarged, just two years ago. It features a large open space, combining lounge, dining and kitchen areas, with all amenities and appliances and large pantry, with adequate storage for each person. You will share a large fridge/freezer with two other females (owners having their own fridge/freezer). The laundry features a brand new washing machine. House exteriors were extensively renovated recently, with sensor lights and dedicated off-street parking areas. The backyard is completely secure with high fences. Rear of house features large covered courtyard and facilities for hanging laundry during wet weather. Backyard also features large, raised veggie garden and large barn shed, offering additional storage space. Erindale Shopping Centre is a 5 minute walk away or 1 minute by car. Bus stops to Woden and Tuggeranong are 2 minutes walk away or just 10 minutes by car. We have two well-mannered dogs, who sleep outside in kennels - Bella is 12 years and Charlie is 3 years. They are adorable and friendly. We are not adverse to having another dog on board but due to allergies, we cannot accept a cat living in the house. Larger room is available now and smaller room is available from 20 April. Please contact us to arrange an inspection and chat. 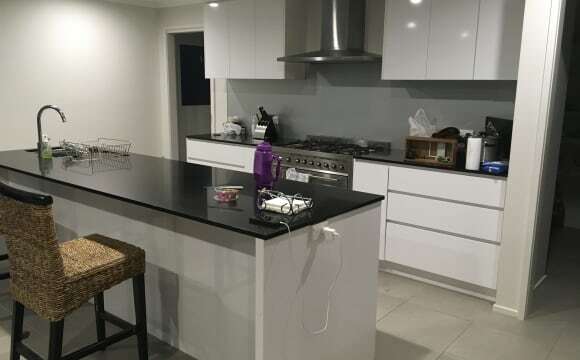 As part of a 3 bedder house with a large open hall kitchen and living area and only 2.5 km to Greenway, Tuggernong. Features include - Unlimited Superfast VDSL internet, plenty of space around with huge backyard and entertainment area. Central ducted heating and air conditioning. Have your your own car space, etc. The bedroom has built in robes. Other features - Undercover parking, Walk to shops, Bus stop in 50 meters. I am happy for room mate to have pets. Internet can be connected. Nice size house. Plenty of backyard space, pets welcome. Two meals areas inside for your own privacy. Kitchen has a dishwasher, gas oven &amp; stovetop. Washing machine &amp; dryer. Rooms come furnished if required - tvs ready to go mounted to walls in all bedrooms. The house has a huge backyard and is in a nice quiet suburb close to shops etc. There is lots of off street parking. I have Netflix and unlimited WiFi - which will be included in bills. 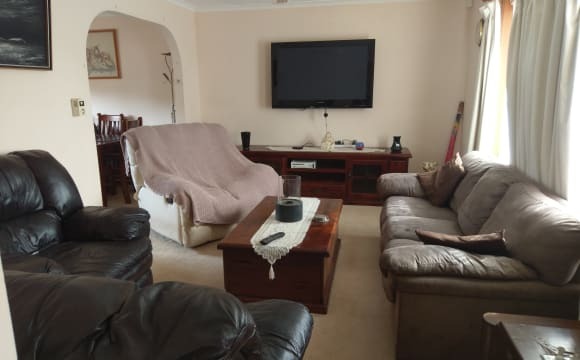 Extra-large room in a lovely 3 bedroom home in Kambah. Share with one female part time and one fulltime and cat. Room can be fully furnished or unfurnished. Close to Tuggerannong Hyperdome, multiple bus routes and nature reserves. Lovely walking trails through Mount Arawang located just behind home, able to walk to the Murrumbidgee River which is great for swimming in Summer. Brand new oven has just been installed in the kitchen, and there is also a washing machine, fridge, freezer hills hoist and a large backyard. Gas and wood fire heating. Female only thank you. Rent $160 per week (2 weeks bond and 2 weeks rent in advance) utilities bills and Internet bills to be shared equally between the 3 occupants in addition to rent. Cleaning products and toilet paper etc costs to share. OFF-STREET PARKING IS AVAILABLE! (couldn't change the option below) There is also a lockup garage that no-one currently uses. Prices and move in dates are negotiable. Our three bedroom house is a 2 minutes drive to South.Point Tuggeranong (or ten minutes by bike). We have a bus stop right next to the house and there is also an IGA and a Club Lime gym that is only a five minute walk away. Both housemates commute to the city for work and are happy to report it is an easy one, so rest assured that the house is still within a decent distance from the city. If nature's your thing, there are also a couple of decent hiking trails just a stone throw away. All rooms can fit a queensized bed in it and a desk, otherwise an open study space is available to share between the housemates. There is plenty of common areas, which are fully furnished and there is still space to add additional items (ex: a second couch). There is also a sofa-bed in the living room for when you have overnight guests visiting. Plenty of space for indoor or outdoor entertaining too, if that's you're thing. There is also plenty of space at the back of the garage if you have other items to store. The house is fitted with two reverse-cycle air-conditioning systems to keep the house cool during the summer and warm during the winter. A dishwasher is situated in the kitchen and can be used when required. The housemates would like to keep the house clean and tidy and would ideally like to adopt a rotating cleaning roster of the house every fortnight. The available room has new carpet and curtains which have recently been replaced. housemate is easy going. There is Netflix, air con, BBQ and the house is fully furnished. I will be updating pictures as there has been a big change in furniture.The communal areas have a dinning table couches and a flat screen TV a spa and BBQ area the back yard is getting upgraded swell . Bills are included with the rent as well as use of anything about the house in communal areas. The house rules are to clean up after yourself with house chores split between everyone and to make sure the dogs don't get out the front door. No drugs policy. It is in a quite cul da-sac and the home has lots of light and many trees in the back area. There are lots of walking and bike paths near the home. I guess the bird life is outstanding! Located in a QUIET Place with good neighbours. 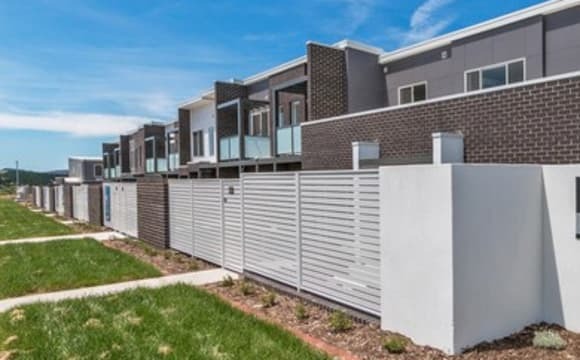 Close to BUS STOPS and Erindale shopping Centre. WiFi Internet. Optional - - prefer week days only - - flexible.